← Single- vs. Three-Phase: Which is For You? Data-center managers can optimize their essential power distribution through the use of advanced PDUs. As experts in planning, construction, and maintenance for datacenters, we at Titan Power are very familiar with the utility of advanced power distribution units (PDUs). We want to help our clients understand how to deal with the features and challenges associated with implementing PDUs in modern datacenters. Here are some of the ideas that will help a manager feel confident in dealing with these issues. The market demand for data services continues to grow. With this demand comes an increase in the requirements for datacenter power and reliability. Much of this reliability depends on the functionality of the power supply system. Managers must carefully design and maintain proper power distribution in order to meet client requirements. A sound plan for power distribution starts with a design for capacity and location. Managers start by creating a floor plan with server units and other power-drawing equipment such as monitors and environmental controls. Then, equipment can be grouped by location, power requirements, and functionality. At that point, power distribution points can be added to the floor plan. Power capacity level is a key design point. Managers often design distribution units with capacities 10% or 20% over requirements in order to allow for expansion without the need to replace the units. For further expansion, designers make sure that the PDU rack space will accommodate the larger sizes for higher-capacity units. As part of the capacity plan, the cooling requirements for the output power levels are also taken into account. Managers review the environmental equipment capacity to make sure it can handle the load of the PDUs. The latter options allow managers to locally monitor current and load balance, either on-site or remotely. They also allow managers to perform real-time control as well as long-term capacity planning. Modern datacenters must monitor their power distribution at a granular level. Often, the computing capacity of the clients is volatile and dynamic, and datacenter managers must use advanced techniques to keep on top of a changing environment. Advanced PDUs give managers control over such challenging situations as dealing with lights out operation, implementing a power cycle, and shedding a load. 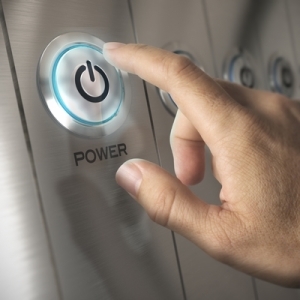 When problems occur, the power of advanced PDUs helps managers provide a fast response. As managers learn more about PDU capability, Titan Power is ready to help datacenters realize their goals for datacenter reliability through the proper choice of advanced power distribution units. This entry was posted in Power Distribution Unit and tagged Advance Power Distribution, PDU. Bookmark the permalink.